Some thrillers are an adrenaline rush fueled by espresso. Those tame tomes blink in awe at the Orphan X series by Gregg Hurwitz. 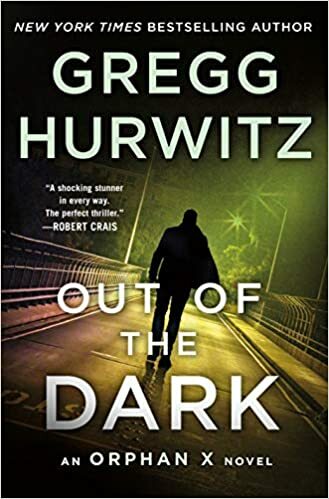 Out of the Dark demands to be read in one sitting, all 385 pages of it, and frankly if lead character Evan Smoak demands something I do not have the courage to argue the point. After reading it, I dare not take my blood pressure. I don’t want to know. Orphan X has become one of those series that I will drop everything to read as soon as I can. The latest, Out of the Dark, was published on January 29, 2019, and I hate that it took me almost a month to get to it. Whether I had grabbed it in January, though, or waited until now (late February), the book was well worth it. If you have followed the series, you know that Evan Smoak was taken from his foster home at age 12 and placed into a beyond top secret program to train black operatives. He eventually broke with his handlers and became the Nowhere Man, committed to helping people who could not help themselves. Now, the president of the United States, the man who used to run the Orphan program, has decided that all of the remaining Orphans must die. His sights are set first on Orphan X, Evan Smoak, primarily because of Smoak’s participation in a 1997 assassination. Smoak does not know why that particular mission is so meaningful to the president. He only knows this: he must kill the president before the president can have him killed. Being an Orphan X thriller, though, Evan must also deal with his increasingly complicated feelings for his beautiful neighbor Mia and her young son Peter. And with a Nowhere Man plea for help from a mentally challenged young man whose family is murdered. And with the reappearance of Orphan V, Candy, who has tried to kill him many times. And a side trip to Switzerland to visit the young girl he is protecting, another former orphan program member who is a world class computer hacker. It’s enough to make anyone thirst for some vodka. The expensive stuff. Which is the only kind that Evan drinks. Average thrillers rely on plot twists and fast-paced action to take you through the story. Excellent thrillers have those as well, but add in sympathetic and complex characters that act in very human ways. Evan, Mia, Candy, and new character Naomi provide all of these variables. Even Orphan A, brought in specifically to kill Evan, has a backstory that lends substance to his anger. 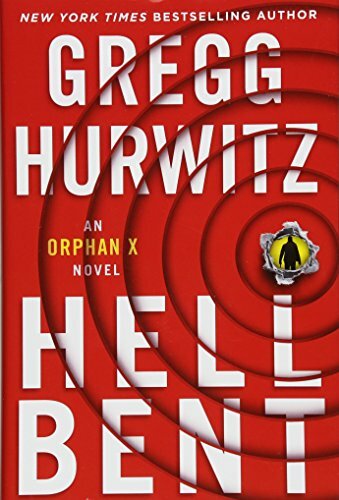 Hurwitz has written many books, but with his Orphan X series Hurwitz has stepped into the top echelon of thriller writers. If you are not reading this series, start with Orphan X and catch up. Each one is better than the last, and this is a series that seems to have the legs to go for a long time.